Out of all patients who present to the ED with OHCA there is a 9.5% survival rate to hospital discharge with varying levels of neurological outcomes. The most common etiology of OHCA is due to obstructive coronary artery disease. The majority of people who expire in the hospital following OHCA were diagnosed with anoxic brain injury as their cause of death. Of all post-return of spontaneous circulation (ROSC) comatose patients who are admitted to ICU, 40-50% survive to hospital discharge. Of this patient population who expire in the ICU, the majority of deaths are due to withdrawal of care. The decision to withdrawal care is often based on provider neuroprognostication. Much of the data that is used to help guide providers in neuroprognostication in post-ROSC patients is based on the ERC guidelines. Evidence from the EM literature shows that the initial post-ROSC neurological exam is unreliable in predicting a patient's ultimate neurological outcome. Studies have shown that initial lack of ocular reflex, specifically fixed and dilated pupils, immediately post-ROSC preformed poorly in the ability to predict long-term patient outcomes. Fixed and dilated pupils immediately post-ROSC should not be used to guide patient care or decision making. Unlike a patient's exam immediately post-ROSC, the clinical exam 72 hours post-ROSC is considered significantly more prognostic. When providers are giving family members neuroprognostication, this should be delayed until at least 72 hours post-ROSC. Neuroprognostication should use a multi-modal approach, bringing in data from multiple sources such as biomarkers, EEG, imaging, and physical exam. The evidence supports avoiding long-term neuroprognostication in the Emergency Department. However, a discussion about a patient's goals of care can, and should, be initiated in the ED. For a quick content review of pneumonia check out this article. In the 2005, the concept of health care associated pneumonia (HCAP) was introduced to try to describe a population of community based patients who were at higher risk of multidrug-resistant organism (MDRO) pneumonia. However, a 2014 meta-analysis showed that the guidelines for HCAP did not accurately predict mortality or correctly identify resistant organisms in this patient population. In 2016, the IDSA updated their pneumonia guidelines for hospital-acquired pneumonia (HAP) and ventilator-acquired pneumonia (VAP). These new and updated guidelines do not include the diagnosis of HCAP as part of these guidelines. HAP is defined as pneumonia that is not present at the time of hospital admission and that occurred at least 48 hours after admission to the hospital. Antibiotic coverage for HAP and VAP should cover specifically for S. aureus, Pseudomonas, and gram-negative bacilli. The only data proven risk factor for MDRO pneumonia is the use of IV antibiotics in the past 90 days. Other risk factors for MDRO pneumonia, as defined by the guidelines, are shock upon presentation, ARDS, need for emergent dialysis, or an ICU with history of MDRO isolates. Updated guidelines for the diagnosis and treatment of community acquired pneumonia (CAP) have not yet been released by the IDSA. However, the current guidelines for outpatient treatment of CAP can be seen in Table 1. In summary, use the IDSA guidelines and each hospital's local antibiogram should be used to guide antibiotic choice in the treatment of pneumonia in the context of a patient's risk factors and clinical presentation. In 2017, a Cochrane review was published looking at steroids for pneumonia which found that steroids reduce mortality in patients with severe CAP but had no difference in morality in patients with non-severe pneumonia. This was also borne out in the EM literature which also showed that steroids in severe CAP reduced not only mortality but also length of hospital stay. It is important to note that severe CAP is not clearly defined in either of these studies. CIN has been defined as an increase in serum creatinine by 25% or by 0.5mg/dL absolute increase within 48-72 hours post administration of IV contrast. The true incidence of CIN is not well known. In 2017, a meta-analysis looking at ED and ICU patients showed that there was no significant increase in AKI, need for CRRT, or increased mortality associated with IV contrast enhanced CTs. The American College of Radiology (ACR) states that there is no agreed upon creatinine threshold above which IV contrast cannot be administered. Although there is no agreed-upon creatinine threshold, eGFR is thought to be a better indicator of renal function. The ACR states that as long as the eGFR is equal or greater than 30 mL/min there is little evidence that IV contrast is an independent risk factor for acute kidney injury. The ACR recommends increasing hydration after an IV contrasted scan to prevent dehydration as dehydration theoretically increases the risk of ATN. Finally, ACR recommends dosing intervals of 24 hours between IV contrast administration in patients with normal kidney function unless in emergent situations. Patients who are anuric, without a renal transplant, can safely receive IV contrast and have no need for urgent hemodialysis (HD) unless there is a concern for a patient's volume status. Oliguric patients on HD have a theoretical risk of being converted to an anuric state and so the ACR recommends HD within 24 hours. It is important to note that no evidence supports or refutes this practice. Studies suggest that 36% of bystander-witnessed cardiac arrests with a shockable rhythm will survive to hospital discharge. 80% of patients who achieve ROSC with a favorable neurologic outcome presented initially with a shockable rhythm. Often patients who present with VF rhythm as a presenting rhythm have obstructive coronary disease as the etiology for their cardiac arrest. Single defibrillation shocks are recommended over stacked shocks. The literature on double sequence defibrillation is lacking. No drug has ever been shown to increase long-term survival after VF arrest. Medications work best in concert with defibrillation, rarely on their own do they spontaneously convert a patient out of VF. Amiodarone has been shown to improve hospital admission rates when compared to placebo or lidocaine although there was no difference in patient survival. It is important to note that these studies were not powered to look at survival. Magnesium is not recommended in the American Heart Association's (AHA) guidelines and has not been shown to increase survival to hospital discharge but providers can consider giving it if prolonged QTc is the suspected etiology for VF arrest. In 2011, a randomized, placebo-controlled study showed that administration of epinephrine increased the likelihood of obtaining ROSC. The alpha effects of epinephrine increase coronary perfusion pressure, however there is concern that the beta effects my increase myocardial oxygen demand potentially worsening the VF. There is theoretical concern that adrenergic stimulation may hinder the ability to obtain ROSC in some patients. This has led towards the suggestion of the use of esmolol in refractory VF. In a 2008 study in the NEJM, found no significant different between ROSC rates or survival in patients undergoing CPR receiving fibrinolytics in cardiac arrest. It is important to note that this study looked at patients undergoing CPR with any rhythm. The AHA states that fibrinolytics should not be considered in routine cardiac arrest patients. However, if providers are concerned for obstructive coronary disease as the etiology of the VF arrest, fibrinolytics can be considered but are not part of the AHA guidelines. As VF arrests are often associated with obstructive coronary disease, the ultimate goal in this patient population is to get the patient to cath lab for PCI. If eCPR is available, studies have shown improved outcomes in patients who received PCI while undergoing eCPR. Drug abuse is a controlled substance that is used outside of the manner it is prescribed. At high doses, loperamide can be cardiotoxic blocking both sodium and potassium channels. This can cause prolongation of the QT and QRS intervals leading to tachydysrhthmias. Treatment of this loperamide overdose includes administration of narcan, whole bowel decontamination, and supportive care. Treatment is often supportive. Flumazenil is an antidote for benzodiazepines, however there are many contraindications to administration of flumazenil including chronic benzo use. Chloral hydrate can cause hypotension and myocardiac depression. It can also cause tachydysrhythmias. Although there is no specific antidote short acting beta blockers can be used in treatment of the ventricular dysrhythmias and dialysis can be considered. Treatment of overdose is focused on benzodiazepines and supportive care. Hyperthermia and refractory hypertension should be symptomatically treated if not improved with benzodiazepines. This class of medications includes gabapentin and pregablin which act by binding to calcium receptors to increase GABA and decrease norepinephrine and glutamine levels. Overdoses can present as sedation, ataxia, slurred speech, seizure, and hypotension. In SCAPE, a sympathetic surge, due to a variety of etiologies, causes pulmonary edema, which becomes an adrenergic cycle that quickly escalates over minutes to cause respiratory failure. Unlike cardiogenic pulmonary edema, SCAPE is often not reversed as quickly although the medical management is the same as in cardiogenic pulmonary edema. AKI in pediatrics can be defined using the pRIFLE criteria which can also be used to predict morality. Prerenal AKI is commonly caused by hypovolemia, which in pediatrics is often due to gastroenteritis. HUS typically occurs in children less than 5 years of age and presents with bloody diarrhea. Classically these patients present with anemia, thrombocytopenia, and an AKI. Typical HUS is due to a Shiga toxin producing infections where as atypical HUS can be caused by a variety of etiologies. Ultimately, both types of HUS are due to microvascular endothelial cell injury. HUS can progress to severe multisystem organ failure and death. 40-50% of children with HUS require dialysis. This is the leading causing of glomerulonephritis in pediatrics, often occurring in school aged children aged 5-12 years old. APSGN occurs due to immune complexes depositing into the kidney causing hematuria, edema, hypertension, and renal insufficiency. 50% APSGN will have AKI of which 95% will resolve spontaneously. HSP is the most common cause of small vessel vasculitis in childhood presenting between ages 3-15 years of age but most commonly in 6 and 7 year olds. Classically HSP presents as palpable purpura, arthritis, and abdominal pain. Somewhere between one quarter to a half of all patient develop renal complications. Patients are monitored for progressive glomerulonephritis with weekly urine analysis for six months after initial illness. 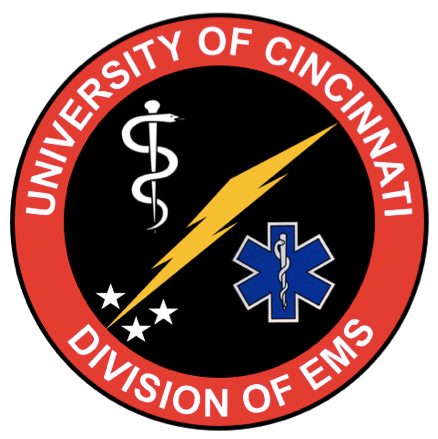 If the initial UA is normal patients can be discharged to home from the ED. However, if it is abnormal the patient warrants a renal panel for further evaluation. There are no stuides to suggest treatment with steroids reduces the incidence or severity of HSP nephritis.